Dr Peter Walton is British and trained in Medicine at Gonville and Caius College, Cambridge University and at St Thomas’s Hospital, London. He went on to be the first doctor to undertake a full-time MBA at London Business School in the mid-1980s. Peter was the Founding Managing Director of Dendrite Clinical Systems and has built the company into a world-leading organisation providing both hospital departmental clinical database systems and National/International Clinical Registry platforms for a wide variety of medical and surgical specialities, working across 48 countries. For well over 20 years he has been a regular faculty guest speaker on the international stage lecturing about the value of registries at scientific meetings right around the world, and was awarded a Fellowship of the Royal College of Physicians for his work on registries. Specifically, Peter has been responsible for building several national bariatric surgery registries working closely with the National Bariatric and Metabolic Surgery Societies of the UK, India, Turkey, Kuwait and Brazil. 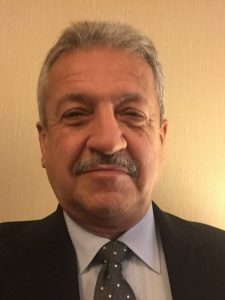 Most recently he has initiated the creation of the IFSO Global Bariatric Surgery Registry, which is already providing substantive demographic data on bariatric surgical patient populations and analysis of the patterns of surgical practice in over 40 countries. Peter lives with his wife near Henley-on-Thames in South Oxfordshire and has three children who have read every Harry Potter book published to date.